We are Japanese traditional product shop. 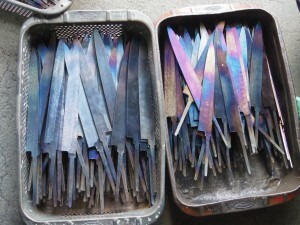 What is Sakai Traditional Blades? Osaka is the major factor for hocho from Sakai to grow, as it is located to the north of Sakai and there is a saying that the people in Osaka are such a gourmet that they spend their whole fortune on food. Once upon a time, licensed cooks from Osaka who worked hard made the effort to go to Sakai to obtain good hocho for food preparation. They pointed out very clearly any poor workmanship on the knives. 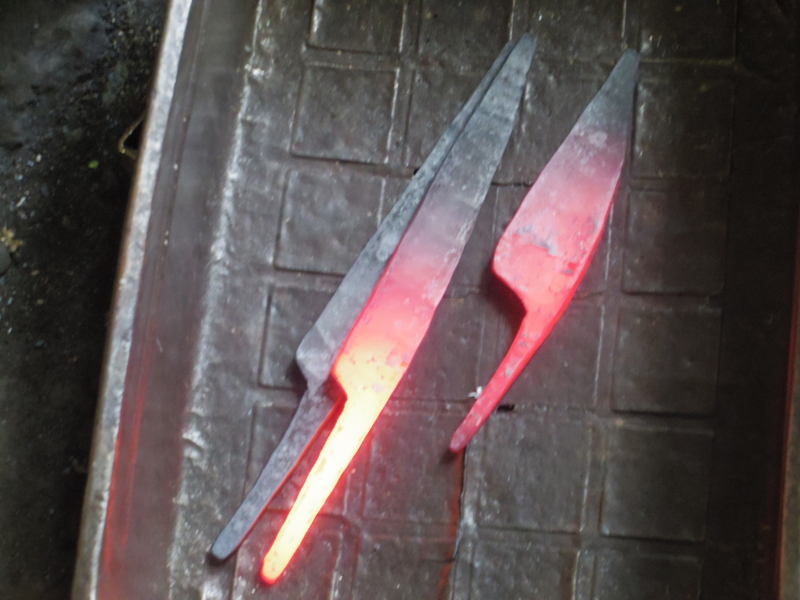 While the knife makers and the cooks discussed how to produce superior products, the hocho of Sakai were finally developed to have lasting superb sharpness. Dababocho was considered that the sea of Sakai was an excellent fishing ground and an especially good site for red sea bream. 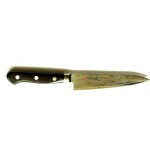 Developed in Genroku period(1688-1704) to cut these fish was dababocho (cleaver knives). Hocho for preparing food of Sakai also became famous. 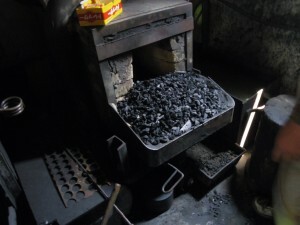 A book at the time described them as “knives from Sakai were debabocho were calloed “deba-bocho” was because a craftsman with bucked teeth( deppa in Japanese pronunciation) first produced it. 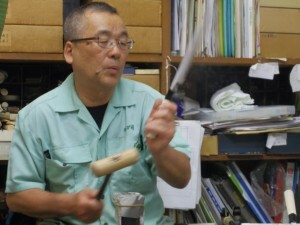 How do you make Sakai Traditional Blades? Measure and cut the steel. Heat again and gradually cool down to avoid deformation inside and uniform the size of crystal. Cover with mud and dry. To harden and sharpen the blade, heat up to a best temperature for each material and cool down with water or oil. 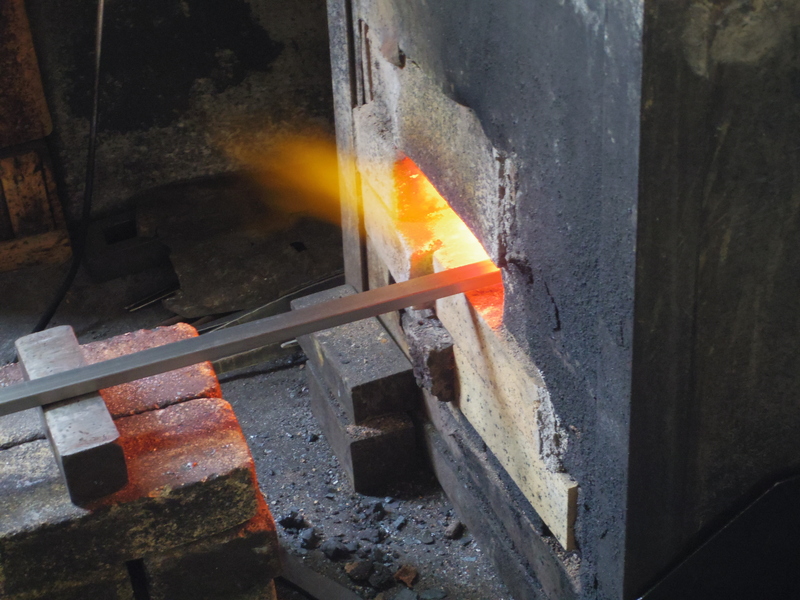 To add more strength to the blade, heat up to around 170degree and cool down. 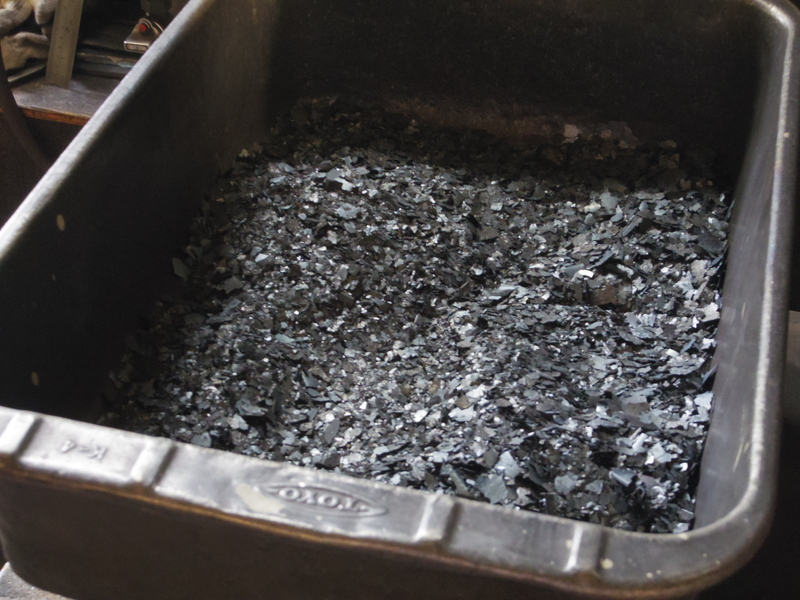 Roughly sharpen and scrape with a grinding machine. 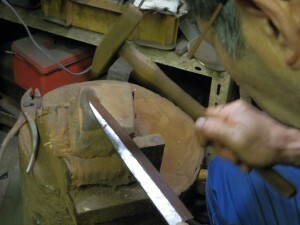 Putting the blade to “To Gi Bo(研ぎ棒)” and sharpen the blade until it is sharpen. 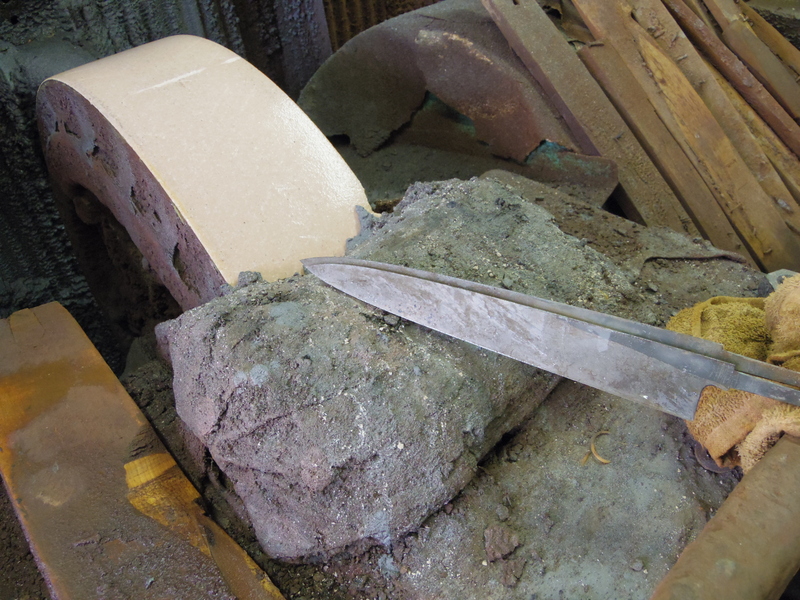 Adjust small strains caused by sharpening by hand with wooden hammer. Sharpen the back side to make a slight angle. Heat the core and adjust the curve. To avoid falling apart or become rotten, take off once and bong it together. Check all the small strain by eye and putting it to wooden case, with a superb strength, little by litter, adjust the blade to a perfect line. 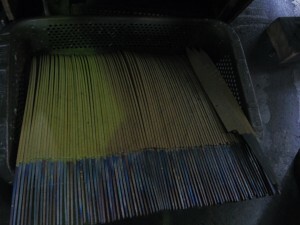 After making sure of no strain or no chip on a blade, it is shipped to a customer. – We recommend you wipe off the water after using. Some of the blades are rustproof but does not mean it will never get rusted. 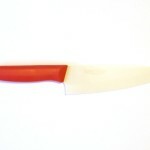 – If you do not use the knife for a long time, we recommend you put repairing oil(Make sure the oil is for knives!). Wrapping the knife with the newspaper avoids getting it rusted too. 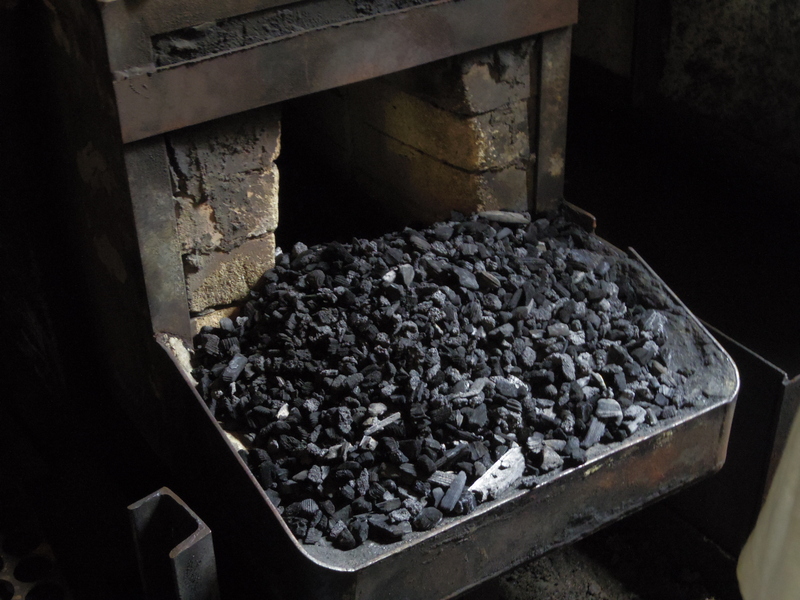 – If the knife is rusted, put a cleanser on a piece of wood and scrub. 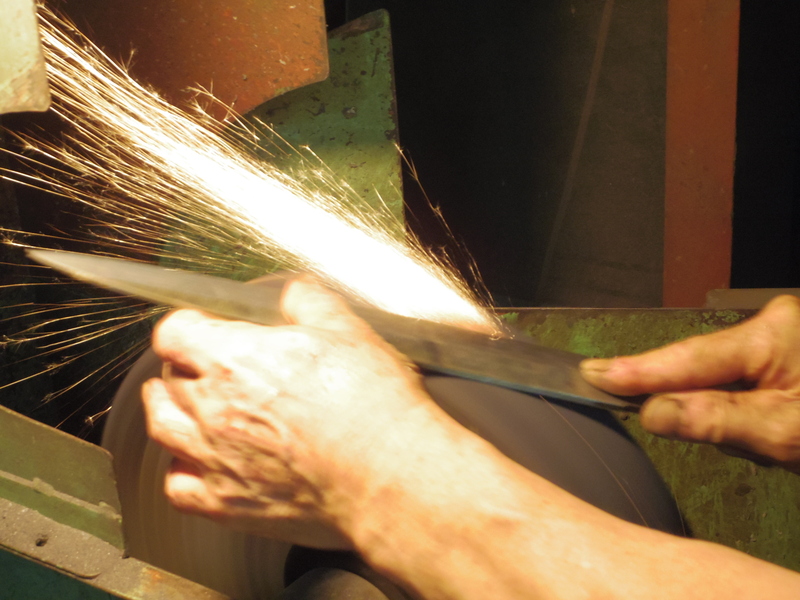 – If the knife is not sharpen, sharp with a grinding stone(Twice a year). 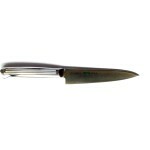 *Knives are very thin and sharpen, make sure that you handle it with care. *Japanese have a custom of using cutting board. 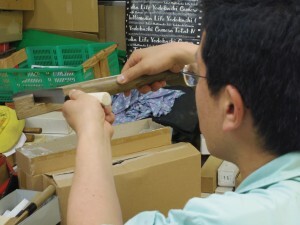 Japanese chef knives are designed to use cutting board. We recommend you use a cutting board. *To avoid nicked edge, please make sure that there is no cracks on a blade before use. *To avoid any accident, please make sure that the handle does not come off or becoming loose. *Please do not heat the blade by yourself. It may cause a malfunction. *The image of the product may slightly differ by your PC, the environment, the light when taken the product from the real product but REMIOjapan cannot accept a refund just because you are not satisfied with the product. Also, please be aware that since our products are mostly hand-made, all the products are original and unique and “exact same” product does not exist. Since REMIOjapan feels that it is important to let you know the artists and their thoughts, staff of REMIOjapan has gone to interview Sakai Traditional Blades’ artists. 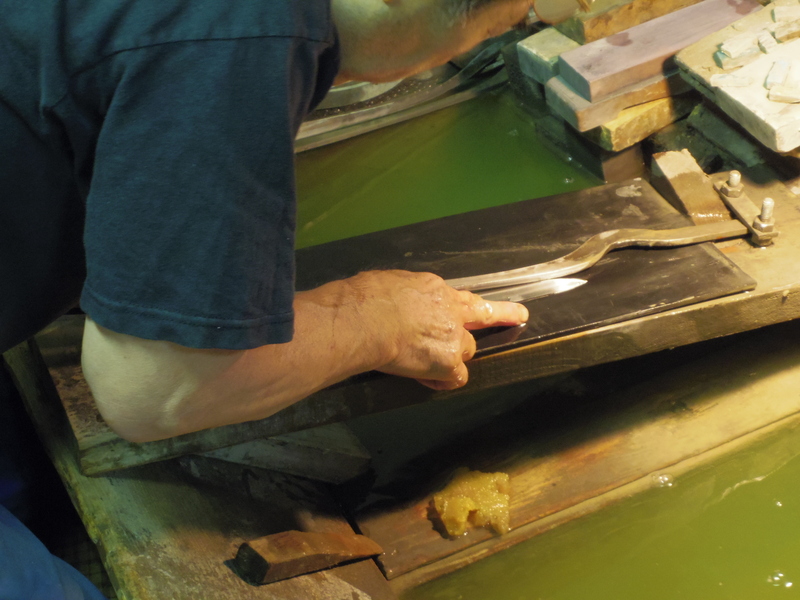 Sakai Traditional Blade is made from mainly three big steps, Kaji, Hatsuke and Etsuke. 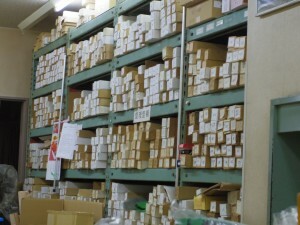 Firstable, we went to the workshop of the Kaji. The Kaji artist has specially showed us his works. If you are interested in the workshop, check out our movie. It is fantastic! 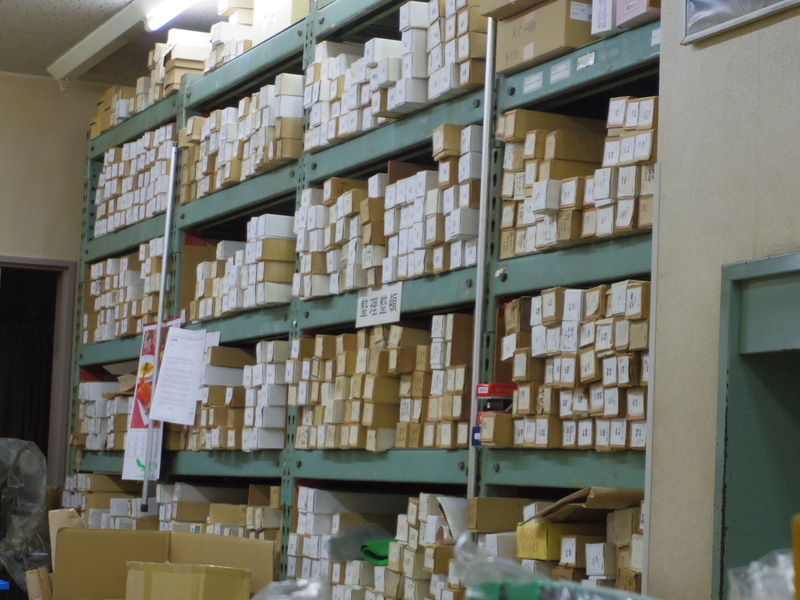 Next, we went to the workshop of Hatsuke. Hatsuke artist has told us the details of Hatsuke and his thoughts about working as a Hatsuke artist. He has told us that “By making parts of Japanese chef knives of Sakai Traditional Blade, I feel proud and am happy that I am helping to convey Japanese culture indirectly. 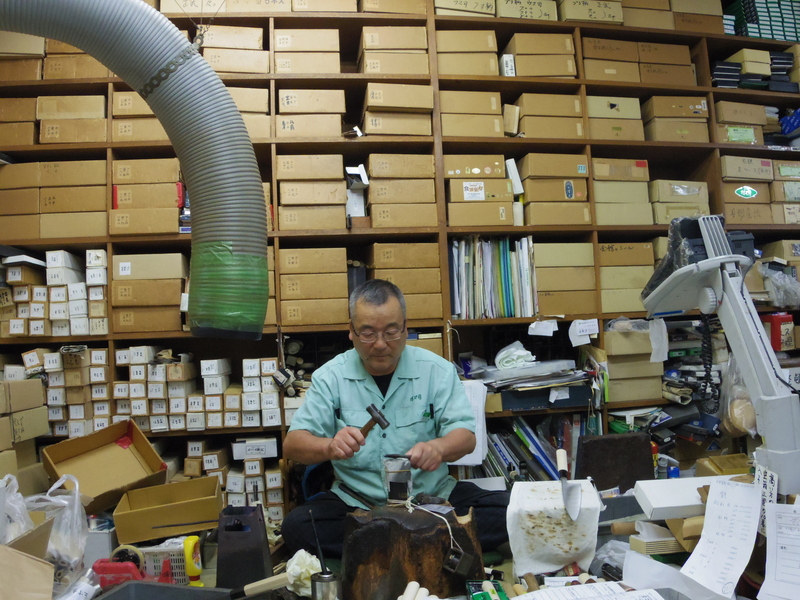 Lastly, we went to interview the Etsuke artist. 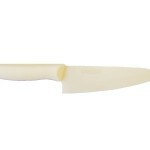 Our knives do not use glue to attache the handle and the blade. 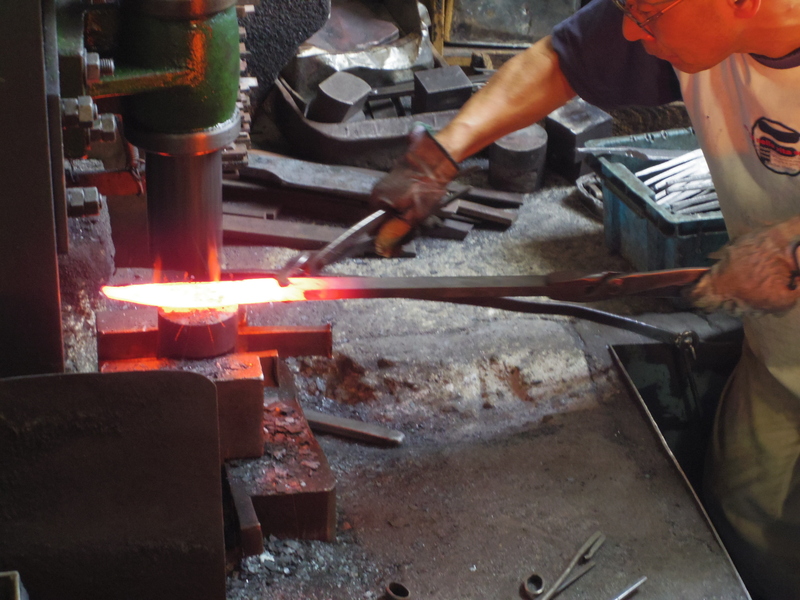 Etsuke artist heat the blade and burn the handle to make the charcoal so that the handle and the blade will not come off. His musical steps have attracted me deeply. He told us that he can distinguish the place of the handle just by listening to the sound. Enjoy the interview of the three artists!